The surface around your cookware stays cool when you cook – preventing baked-on spills and making cleaning up a breeze. 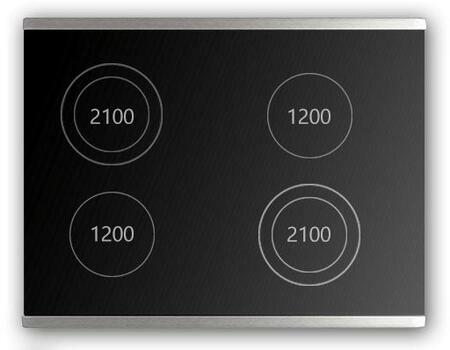 The durable ceramic cooktop surface just needs a quick wipe after use to maintain its good looks. 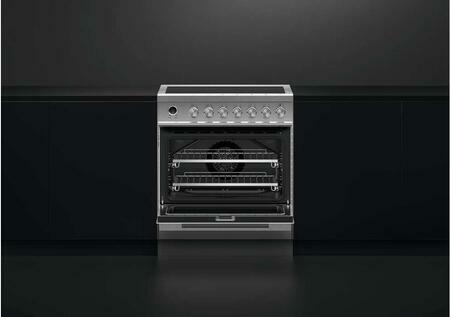 Professional performance is delivered by eight oven functions — perfect for any culinary requirements. 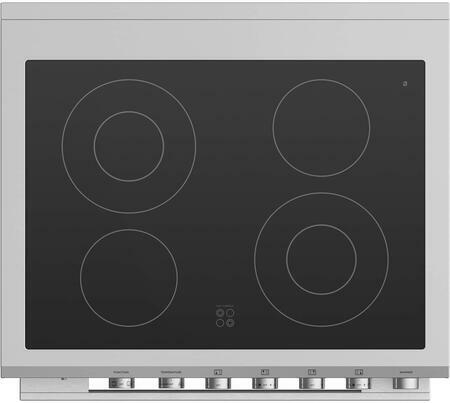 The ceramic glass cooktop with high-speed ribbon elements delivers fast heat when you need it and there is also a gentle heat setting for slow, continuous simmering. The classic dial controls make this range extremely easy to use. 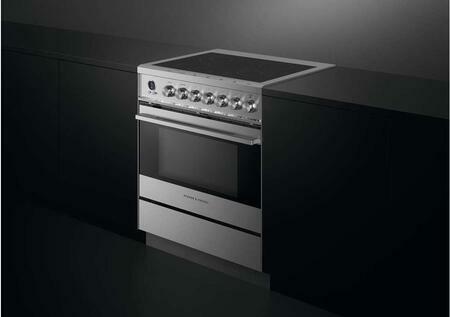 This built-in oven has various functions with pre-set temperatures allowing you to use a variety of cooking styles. Cleaning up spills is effortless. Your cooktop simply needs a quick wipe to keep it looking good as new. The self-clean function breaks down food residue at a very high temperature, leaving a light ash that`s easily removed with a damp cloth. Can anyone give the overall depth (including the handle)? Many thanks! As per Fisher Paykel the depth of the unit with the handles is 36 3/4 inches. 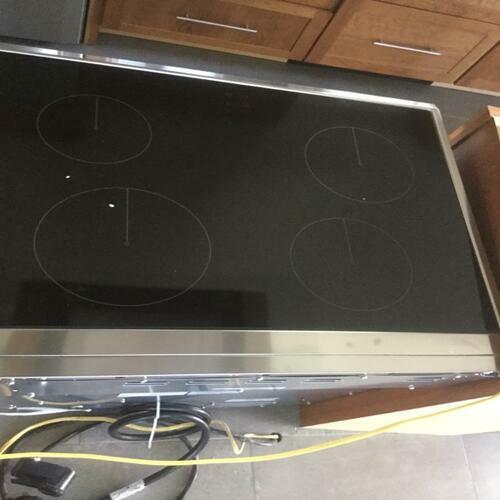 We are pleased with the operation and cleaning of the stove top and oven. I was primarily interested in the size of the cooktop for larger pots and pans. Overall, I'm in love with this Electric stove. The oven has the ability to bake more things at once if needed to. The Stainless Steel color makes it look sleek and modern in my kitchen. The price was reasonable as well. 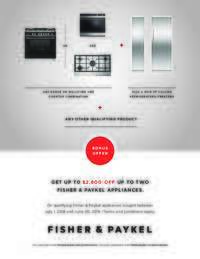 Fisher Paykel is a reliable brand. 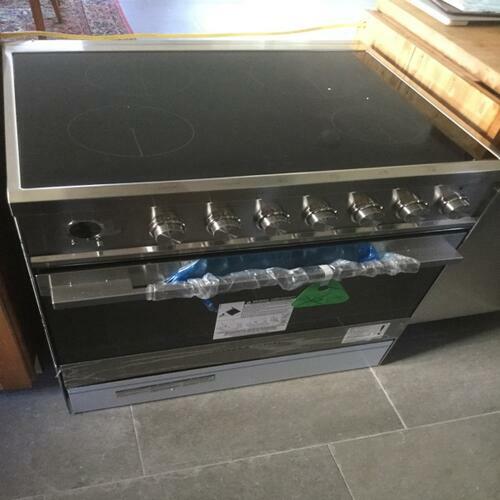 This is a great Electric stove. My husband loves the larger oven and the quicker burner on the top. It looks very nice in my kitchen and it matches the new refrigerator I bought with it. 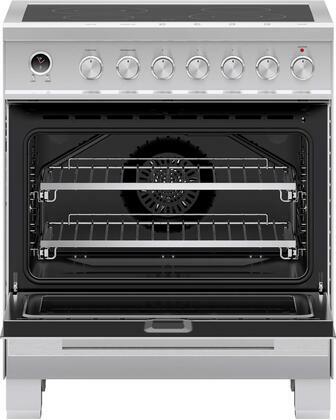 It completely satisfies our need for a Electric range and performs very well. The burners have so much power that it only takes minutes to boil a pot of water. I can't say enough good things about the oven as well. Everything I have baked came out flawless. Since getting this range, cooking seems easier. 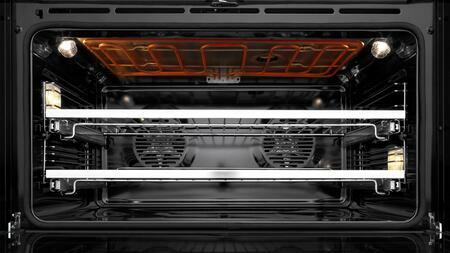 It has a large oven capacity that will easily handle large meals and items. This is a versatile, well-made range and worth the price. 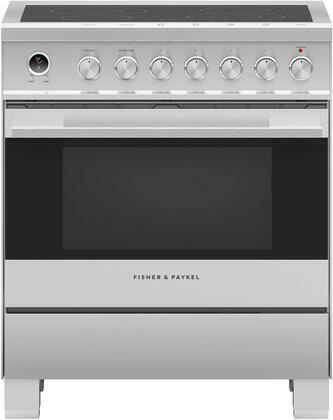 I would highly recommend this Fisher Paykel Electric stove to one and all. We are very happy with this purchase. After researching several other professional ranges at much higher prices for months, this range has exceeded our expectations. 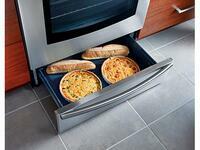 Perfect for home/chefs, lots of room on the top and perfect sizing in the ovens. A truly great shopping experience! 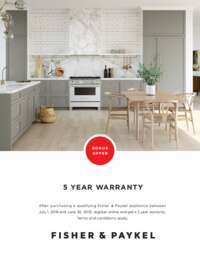 Best price anywhere, and the customer service is superb. It looks great and its performance is fantastic. It heats up extremely quick and boils water faster than my old one. This range is so updated from my old one that I am thrilled with it. Easy to keep clean and looks and works great. 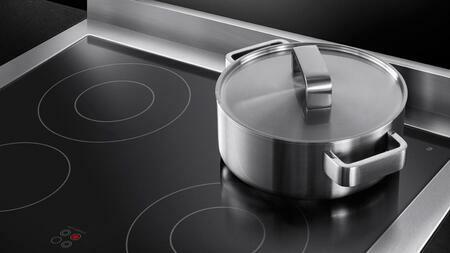 The top burners have a large cooking area and different size options for varied pot sizes. The inside is nice and big, too. Baking and cooking times seem to be quicker and more even.